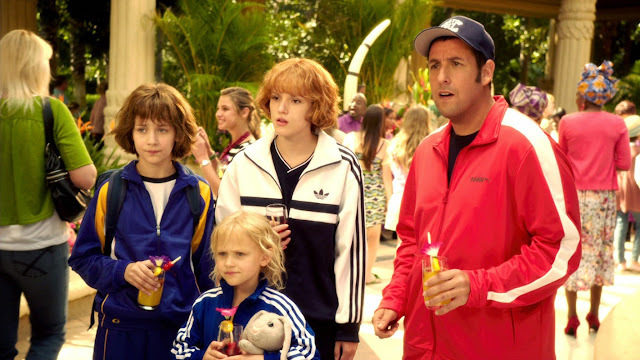 "Blended" is the third romance comedy collaboration between Adam Sandler and Drew Barrymore ("The Wedding Singer" and "50 First Dates" were the first two). Their previous works proved to be popular but critical acclaim is sort of a mixed bag. Personally, we loved those two. But we also noticed that every iteration has had a dip in quality and with "Blended", it does not buck the trend at all. It is easily the worst of the bunch and like most recent Adam Sandler films releases, it seems they even hardly tried. After a disastrous blind date, single parents Lauren (Drew Barrymore) and Jim (Adam Sandler) agree on only one thing: they never want to see each other again. But after an awkward meet, an accidental swap of credit cards and a "fateful" play of luck, they each sign up separately for a fabulous family vacation with their kids to Africa - meaning they are all stuck sharing a suite at a luxurious African safari resort for a week. 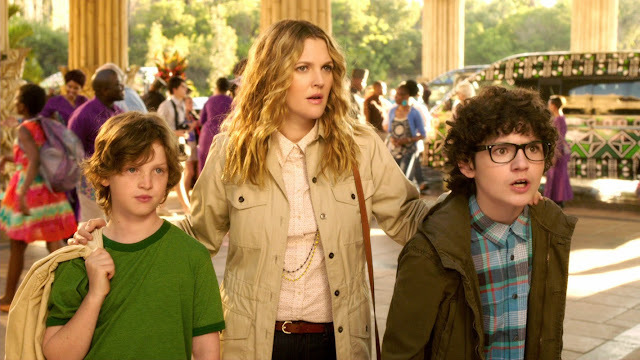 "Blended" isn't a total train wreck but it is near to that. The film features what's to be expected from an Adam Sandler film - a simpleton kind of story, crude humor, unexpected cameos and unnerving, jumpy scenes. It's okay if most of them work but half of the time, we couldn't find ourselves laughing to the jokes and scenarios the characters find themselves in. On the acting side, Adam Sandler and Drew Barrymore was just good enough. Although their chemistry was a little off this time. The one we would commend is Terry Crews whose scenes were damn funny. Overall though, there's not much to say about "Blended". It wasn't the worst Adam Sandler film yet but people might be tired of the same old tricks being played again and again.